The Academy of Lifelong Learning at Shell Point Retirement Community welcomes the public to its American Portrait Artists course on Monday, July 22, from 10 a.m. to 11:30 a.m. in the Grand Cypress Room of The Woodlands. This course is free; however, space is limited and registration is required by calling (239) 489-8472. Shell Point resident artist and lecturer Herb Sklar invites you for a lively, visual presentation that will trace American history through the work of various artists. Some portraits are done by painters, some by photographers. Some are amusing, others eccentric. All add up to an exciting look at the likes of historical figures from Pocahontas to George Washington to the many provided by today’s contemporary American artists. The Academy of Lifelong Learning at Shell Point Retirement Community welcomes the public to its July American Art lectures. Taught by instructor Dorothy “Dottie” Magen, M.A., the classes are scheduled for July 3, 10, and 17 from 10 to 11:30 a.m. in the Grand Cypress Room of The Woodlands. Space is limited and registration is required by calling (239) 489-8472. Tickets for each session are $10. American Art: Colonial to Contemporary Session 1 on Wednesday, July 3, will focus on the 18th and 19th centuries. From the earliest itinerant portrait painters to the most current abstract artists, American painting and sculpture will be explored through slides, lecture, and discussion. On Friday, July 19, from 9 a.m. to 5 p.m., customers are invited to pop a balloon for a discount tag to receive additional savings off already well-priced items during the Community Thrift Store’s second anniversary celebration. There also will be special pop-up surprises each hour for shoppers, along with complimentary theater-style popcorn and soda pop. The store features home décor, clothing, artwork, knick knacks and furniture, as well as building supplies, construction materials, appliances, and fixtures. When an individual or an organization donates items to the store, they receive a tax deductible receipt. The Academy of Lifelong Learning at Shell Point Retirement Community welcomes the public to The Comfort of Hospice Care, a free lecture on Friday, July 12 at 10:15 a.m. in the Social Center on the Island at Shell Point. Join us as healthcare experts from Shell Point and Hope Hospice dispel the myth that hospice care is only for your last days. With palliative care, there is life after diagnosis. As Hope Hospice’s motto says, Each day is a gift. This course is free; however, space is limited and registration is required by calling (239) 489-8472. The Academy of Lifelong Learning at Shell Point is an educational initiative for the residents of the retirement community. The Academy provides approximately 80 classes each semester that encompass a well-rounded curriculum of educational opportunities for senior adults. The Academy of Lifelong Learning at Shell Point was named as one of 2008’s most innovative active aging programs by the International Council on Active Aging, an association that supports professionals who develop wellness/fitness facilities and services for age 50-plus adults. To help these individuals in their search for information about assisted living, Shell Point created a team of experienced assisted living specialists, McKenzie Millis and Vivian Ciulla, who offer guidelines that define what consumers can expect from an assisted living community as well as suggestions for locating communities and a checklist of questions to use when visiting and evaluating a potential new home for a loved one. Assisted Living is the long-term care option that combines housing, support services, and health care, as needed, and is an excellent choice for seniors seeking an independent lifestyle, while also receiving the help they need with daily activities. Assisted living is appropriate for someone who needs some level of assistance with everyday activities, such as meals, medication management, transportation, or bathing. Communities typically offer dining, as well as social and wellness activities designed to support a well-rounded lifestyle in a residential setting. Some residents may suffer from Alzheimer’s or other memory disorders, or they may need assistance with mobility, incontinence, or other challenges. Shell Point residents Bill Reiff, Ken Treiber, Fuzz Farrell, Pete Bickett, and George Decelles share both a love of woodworking and a love of helping children. They have teamed up with three Vi at Bentley Village residents, Charles Rue, Peter Mattimore, and Frank Harrigan, to make wooden toy cars for children in need as part of the Toys for God’s Kids program. Last year, they produced more than 300 cars and sent them to hospitalized children in Mali, West Africa and to U.S. troops in Afghanistan. Over the holiday season, they also supplied cars to the Toys for Tots and Operation Christmas Child programs. A record number of 45 young golfers ranging from age 7 to 16 participated in the free Shell Point Golf Club Junior Golf Camp that was sponsored by a generous donation from the Shell Point Men’s Golf Association. The four-day camp included range time with certified golf professionals, as well as actual course play. Shell Point Golf Club is an 18-hole Championship Golf Course that opened in 2000 and was designed by Gordon Lewis. The course offers a grass driving range and practice green, lessons, a fully-stocked pro shop and snack bar. 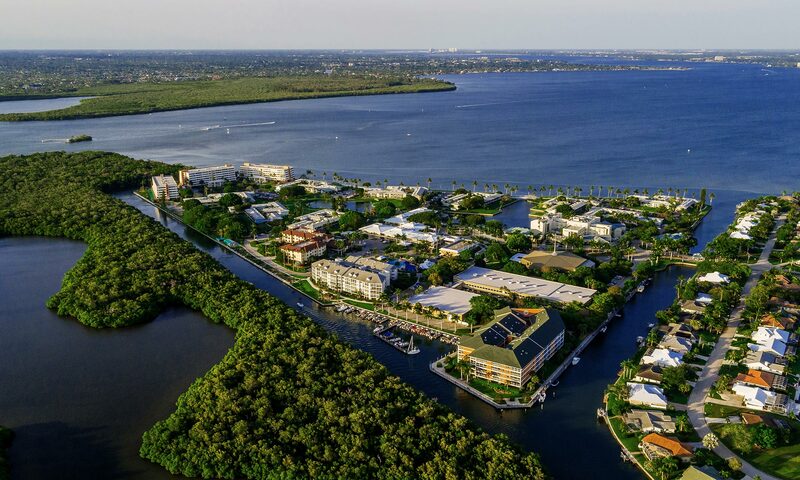 The course is open to the public and is located at the entrance to Shell Point Retirement Community in Fort Myers, Florida, just off Summerlin Road, two miles before the Sanibel Island Causeway. Please call (239) 433-9790 for more information about the course summer schedule and tee times. The Shell Point Board of Directors has promoted Scott Moore to the position of vice president of operations. A Shell Point Retirement Community employee since 2005, Moore served as assistant vice president of operations since 2011. “Scott has become a known and trusted member of the executive team and has proven his ability to successfully manage the most senior operations role at Shell Point,” said President Peter Dys.